This online apologetics and discernment work Apprising Ministries has been among those who’ve been reporting on the awful decline of mainstream evangelicalism, which made the tragic mistake of embracing the sinfully ecumenical neo-liberal cult of the Emergent Church aka the Emerging Church—with its “big tent” Progressive Christianity aka Emergence Christianity. Now, because evangelical churches began using warped and toxic teachings e.g. of EC leaders like Emerging Church rock star pastor Rob Bell for years now, they’ve been poisoning their own young and have advanced Bell right into the very heart of the church visible. 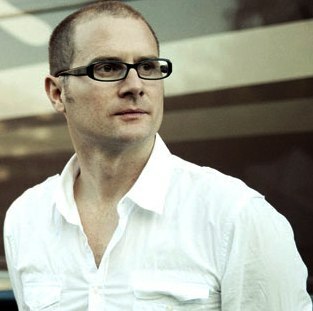 Another indication of apostasy is that Rob Bell is now considered an evangelical; but, Is Rob Bell Evangelical? A couple of years ago, even before he wrote his new book Love Wins and did the controversial promo video, which you can see in Transcript Of Love Wins Video Of Rob Bell, I laid out for you where Bell’s personal practice of Contemplative Spirituality/Mysticism would eventually lead him, as it does all stripes of so-called Christian mystics: Rob Bell And Christian Universalism. I don’t think Rob Bell is a universalist; I think he’s already been leaning toward this Christian Universalism, which is also known as Universal Reconciliation/Redemption. For those who do believe this heresy—with its false gospel—there is a literal hell; but they dream, after each is punished temporally eventually hell will be empty. You need to know that this mythology is actually as old as the heretical Origen of Alexandria. For six years now I’ve been documenting the sad slide of Rob Bell as he heads deeper and deeper into mystic deception and away from anything resembling the historic orthodox Christian faith. One source who used to hear Bell during his time at Calvary Church, whom I showed you in Rob Bell: The Myth Of Mars Hill “Miracle Grow” sent 700 to 1,00o of their members with Bell to plant Mars Hill Bible Church, said he was basically expository in his preaching then; “think MacArthur” I was told. Some wonder how MHBC is coping with all of this; another source tells me there’s been a bit of rumbling within ever since Bell saw to it that his mystic friend Shane Hipps would be brought on as his co-teaching pastor, as now their mysticism is rather out in the open as you’ll see in Rob Bell And Shane Hipps Teaching Mysticism. Now it seems something’s up at MHBC concerning Bell’s new book, which is set to drop March 15. Sources inform me today that “many” there are quite concerned about this book. But here’s a little food for thought: After being the teaching pastor at MHBC for years, if Rob Bell is such a great communicator, why is it that an announcement like this concerning his supposed evangelical orthodoxy would even have to have been made in the first place at his own church?